This is the only tree image that I have seen so far this year that compares in size to the tree at my mom's house in Fort Worth. The photos are taken and will be shared on Christmas Day with the rest of the amazing holiday decorations at her house! So stay tuned. 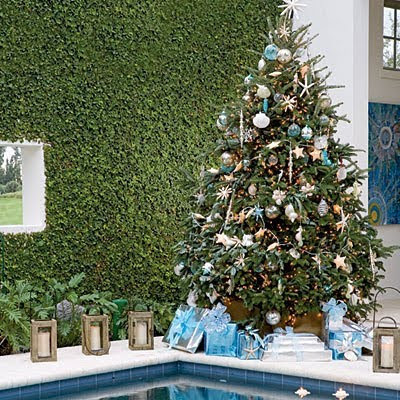 (If you are craving some more beautiful holiday images like the one above, visit Habitually Chic's holiday post here. Merry Christmas everyone and have a wonderful holiday weekend with your families and friends. I'm itching to see your mother's decor...I suspect it is quite fabulous! My parents' tree was also huge! I think 15 feet tall.